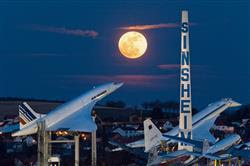 As part of the World Forum for Motor Museums numerous lectures will be held in Sinsheim that are especially aimed at managers, exhibition curators, and marketing employees of transport and automobile museums. There will be joint workshops in a relaxed atmosphere, allowing the exchange of ideas and internalising what is being presented. Since planning has not been completed yet, we will still gladly accept speakers and their specialist lectures.